This new range from Sicce is ideal for hydroponic application. It is silent, has little to no head transfer to the water, is extremely efficient, has adjustable flow rates, and an optional filter attachment. This pump range can be used either in water or in-line with no detrimental effect to the pump's operation, with 2.2 metre cable, making it extremely flexible. Syncra Silent: a pump line of new generation, created to pair elevated performances with extreme silence and energy saving. Thanks to their innovative technology, these pumps can be used in a great number of different applications. All the Syncra Silent line can b.. 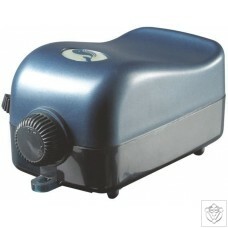 The Syncra Nano is ideal for smaller scale hydroponics set-ups. Pumping 400l/h, it encapsulates all the latest development from SICCE's green motor technology, having silent operation, and extremely efficient performance. This tiny pump, smaller than a business card, is the only one on the market which can also be used in-line, and has a 2.2 metre cable. 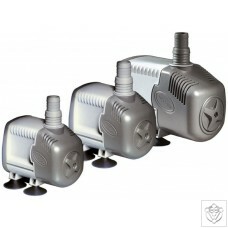 A SMALL PUMP with MULTIPLE APPLICATIONS! 2 in 1 Wet & Dry Application Developed to grant a silent operation and a great durability, this pump is extraordinarily compact but complete with all SICCE Technology features: a front flow regulation with 180° rotation outlet allow.. Extremely Compact with just 6.5 cm total length! Developed to grant a silent operation and a great durability, these pumps are extraordinarily compact but complete with all SICCE Technology features: a protection grid with fine slots grants the protection for the smallest fishes, corals and sea stars. 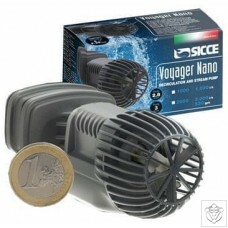 Suitable for combining with an ON/OFF Controller - recommended SICCE "Wave Surfer" - VOYAGER NANO can be programmed up to 10 seconds for naturally creating the marine currents on the coral reefs. VOYAGER pumps are equipped with Self-Cleaning System, developed in all SICCE newest generation pumps: water is forced into to impell.. 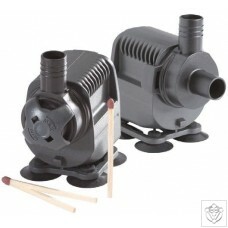 The Airlight air pump features a compact design, silent operation, and vibration damping rubber feet. Also benefiting from stainless steel outlets, an electronic dial adjuster, a wall mounting hook, and a 2.2 metre cable, this air pump is perfect for any hydroponic application. With low operational costs, compact design and quiet operation this pump is guaranteed to perform. 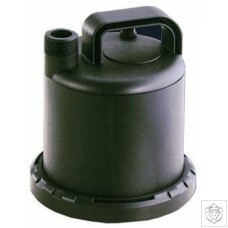 A complete Air Pumps line suitable for aquariums from 16 to 180 litres of capacity, very silent and provided of a light to indicate if pump is turned on or off. Air Light is the ideal to increase the oxygenation of the water and may also be used to enhance..
Ultra Zero is a sumergible pump, designed and made for pumping cloudy waters without fibre content, intended mainly for domestic use, in fixed applications or with manual operation, for draining basements and garages subject to flooding or for collecting rainwater, etc. It is a multi-purpouse pump for domestic uses, to solve all kinds of minor do-it-yourself problems in which water has to be eliminated or moved. No tools are needed to install Ultra Zero, nor for routine maintenence. Easy to use, Ultra Zero features a series of solutions that make it very functional and extremely easy to handle . Characteristics: Easy acc..